Why is this Guy Walking Away? There comes a time, while getting older and reaching adulthood, that many decide to choose a political side to recognize and have like-minded thoughts with. Sometimes you think you know so much about politics that you forget to check out what that political party have morphed into. 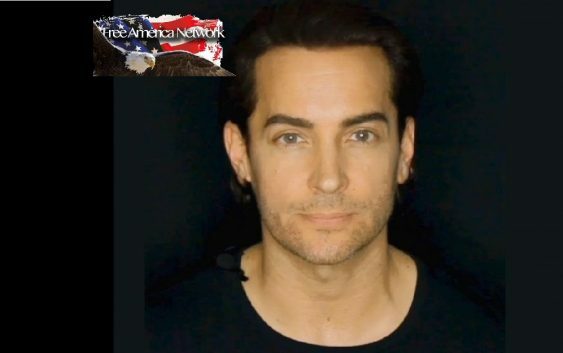 The WalkAway campaign, or #WalkAway, was a social media campaign that launched ahead of the 2018 mid-term elections by former liberal Brandon Straka. As of November 2018, the video had over 400,000 views on YouTube and 1 million on Facebook. On 27 October 2018, Straka led a march of “a few hundred” supporters of WalkAway along Pennsylvania Avenue in Washington D.C.. There are more people who have seen what the extreme LEFT has turned into. It blows me away that there are still many who do not understand what Socialism and Communism are. There are also many who actually want America to be a Socialist country. We are now faced with a new group, on the Democratic side of Congress, who are embracing Socialism. What has happened to the land of the free and the home of the brave? It is well known that Francis Scott Key is the author of the famous words “the land of the free and the home of the brave.” He wrote those words in 1814 and, ever since 1931, they have been sung as the national anthem of the United States. This is the America I think about but I sadly learned that not everyone respects the words I feel are so important to me. Just watching football can give anyone a short lesson about respecting or not respecting our flag and National Anthem. Still, we are free to choose what to watch and if we want to align ourselves with one particular side. Yes, we are free because we live in a free country. Why would anyone want to give up their freedom and let the government control them? Greed, yes greed, for the almighty dollar. Greed to have “free stuff” given to them without putting in much effort. Personal thoughts on this subject run rampant in my head. I have always been a free spirited thinker. I’ve enjoyed making my own choices even though some may have been wrong. I had the choice. I am free. Our descendants had to fight to obtain the freedom that we enjoy today. That was not an easy task. Many died for our freedom. Have you ever wondered what happened to the 56 men who signed the Declaration of Independence? Five signers were captured by the British as traitors, and tortured before they died. Twelve had their homes ransacked and burned. Two lost their sons in the revolutionary army, another had two sons captured. Nine of the 56 fought and died from wounds or hardships of the revolutionary war. These men were courageous. Twenty-four were lawyers and jurists. Eleven were merchants, nine were farmers and large plantation owners. They were men of means and well educated. But they signed the Declaration of Independence knowing full well that the penalty would be death if they were captured. Freedom was just a very big dream that men made come true. Are you ready to give up that freedom? I’m not. If we ever let Socialism come through the door, we cannot go back. We no longer have the brave souls who put their lives on the line for this great gift to fight for us. Hold on tight folks. There is a rocky road ahead. Don’t ever give up what you may never be able to get back.